Scuba Diving New Orleans? Make sure you visit Temento’s, the premiere New Orleans Dive Shop since 1959. Our dive gear pricing is highly competitive, and we have complete scuba gear packages for every budget. 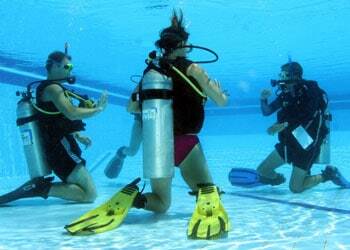 Are you looking to take New Orleans Scuba Lessons? Want learn to Scuba Dive and Become a Certified Diver: This is where you start. Temento’s offers the NASE Open Water Diver course, which is easy, fun and puts you on the road to a lifetime of learning and scuba diving. Call SCUBA STEVE NOW to get started. 504-347-5402 or e-mail steve@tementos.com. TEMENTO’S provides DIVING, SPEARFISHING, SCUBA & FREEDIVING supplies & accessories. In winter November – March we are open Monday thru Friday, 8am – 5:00pm & Saturday 8am – 3pm. In summer March 12 – November 5th we are open Monday thru Friday 8am – 5:30pm & Saturday, 8am – 3:00pm.